Addressing Climate Change, shares a never-seen-before glimpse of the highs and lows of the annual conference on Climate change organized by the United Nations Framework Convention on Climate Change (UNFCCC). The book covers the annual conference, giving an authentic, behind-the-scenes look at the negotiations and accompanying events that took place in Doha, Qatar, COP18 in 2012 and Warsaw, Poland, COP19 in 2013. It is a poignant illustrated biography that celebrates the collective efforts of the nations and people who came together under the framework of the UN to address the problem of climate change - the foremost challenge of our time. The photos in the book portray the first ever inside look at international leaders from governments, civil society, academia and business who are furthering the climate dialogue to make progress towards a universal climate change agreement. 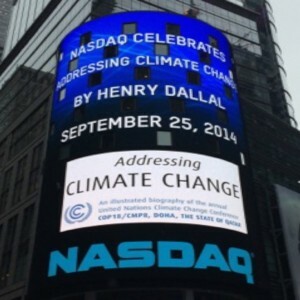 In honor of the ‘Climate Change Summit ’ held during the UnitedNations General Assembly in September, 2014 and to celebrate the release of the book, Henry was invited along with Her Excellency Christiana Figueres, Executive Secretary of the UNFCCC. to ring the NASDAQ Opening Bell in Times Square, New York. He was also invited to exhibit a collection from his book inside the United Nations. 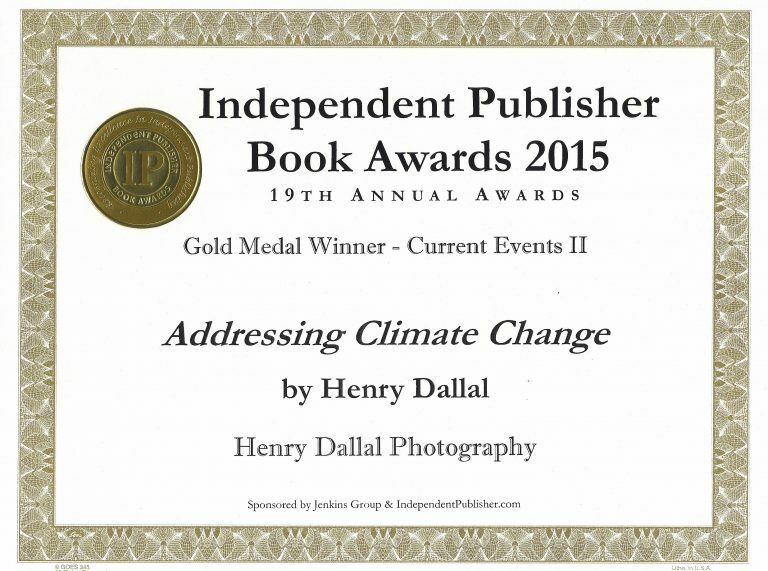 The book was awarded a Gold Medal in the Current Events and Humanitarian category at the IPBA awards in 2015. Academy Award-winning actor Michael Douglas, actor Ed Norton, artist Yoko Ono, UN Secretary General Ban Ki-moon, and Chair of the Nobel Prize-winning Intergovernmental Panel on Climate Change Dr. R K Pachauri, are among those who have endorsed the book.